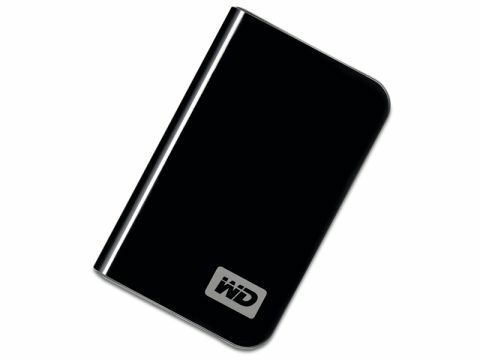 Western Digital offers its My Passport Essential drive in no less than 11 colours and six capacities, ranging from 120GB to 500GB. By that token, our 250GB drive in Midnight Black is a mainstream product, but we had a hard time tracking down a price as a number of outlets have it on sale for as little as £50. However, the warranty can be as short as one year. We found £63 a more realistic price with a full ﬁve-year WD warranty. When you connect the drive to your laptop the software installer auto-runs and wants to install the WD Sync utility for Windows. It also tries to foist a package of Google Software on you that includes Google Desktop and Toolbar, which is unnecessary for an external hard drive. WD Sync lets you choose the types of ﬁle you wish to synchronise to ensure your My Passport drive reﬂects the state of your main computer. This is handy if you commute between two PCs, but less useful for laptop users who simply wish to use the My Passport drive for storage. Syncing is a simple process, but it's not as intelligent as we would hope. The sync options let you choose your email agent from a short list of Outlook or Windows Mail, and if you wish to sync your internet favourites you have to choose either Internet Explorer or Firefox. The software clearly didn't scan our laptop to see which applications were installed, so we doubt this is a real long-term application. The software allows you to create a password with AES 128-bit encryption so you can drop ﬁles into an encrypted folder quickly and simply. The WD My Passport Essential is a fast drive that looks really smart and is priced attractively.